All the different screw types have a range of different parts options to choose from. 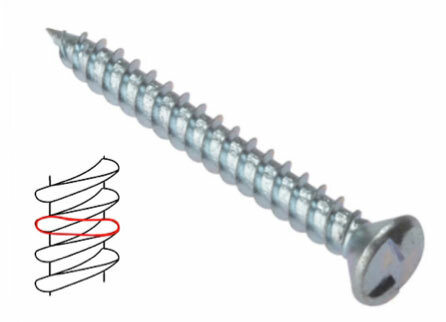 Learn about the different parts of screws and what the options you have. Understand which types of Screw Head is right for the job, know which type of Screw Thread you should select or the best type of Drive for the project youÍre doing. We will cover the coating for screws and which should be used in which type of project also. Even if you know the type and length of screw you need, you also have more options to choose from; make sure you select the right kind of screw with the right head, thread and drive that you need. Selecting the right screw for the job is second nature for the time served craftsman, however it can be a very difficult thing to achieve if you are not experienced and do not know how to navigate the plethora of choices that you have. It is important to understand the parts of a screw and what each part is for. We will review these parts and discuss these options here. The Screw head provides two main functions; firstly it is the stopping point for the screw once it has been driven on to the surface that you are fixing. The second is to house the drive, or the means by which force is applied to drive the screw in (or remove it, if required). They are generally the part that is seen once the job is completed, so consideration should be given to the aesthetics of the screw head, if this is relevant. The wide range of heads means that there is always an appropriate head for most jobs. If the load is very large or the surface that is being fixed is soft then a wider head with a large surface area should be used. Countersinking generally (if done properly!) leads to a neater finish and is often used in home improvement projects. The larger the head the more force that can be transferred from the drive; if the screw will need more force or torque to get in into the material you are fixing then you will need a larger head. Often in this situation a pilot hole is used to reduce this force needed. Find out more here in our countersinking project that also covers how to drill pilot holes. Slotted This is the traditional drive for a screw and designed for a flat head or slotted screw driver. Simple and easy to use, and without this type of drive no one would be able to open paint pots! There are a great many more different types of drive available and most come with a tamper resistant version also. The tamper resistant version has been adapted so that they can only be turned with the specialist tool or screw driver, which are less commonly available. All above images are courtesy of Wikipedia, to find out more about each type of drive head, see the total list of screw drive head types here. For each of these drives you need the right driver head in order to turn it. In the UK and Europe for most DIY and home improvement applications you will typically only use slotted or pozi drives on a regular basis. Many of these drives are restricted to specific uses or specific geographies. For example the square recess or Robertson drive is now virtually defunct in UK and Europe, but still commonly used in North America. The same applied with the Phillips drive, which has been replaced by the Pozi drive in Europe. Cam Out – when speaking to screw and screw driver boffins, they will talk about “Cam Out”. This is the name given to when the screw driver head or bit slips out of the screw. 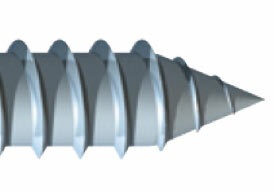 The design on the drive in the head of the screw is usually largely focused on avoiding it. Cam Out is bad because it wastes time and effort re-centring the driver before continuing screwing, and also during cam out the screw head tends to get damaged. There is a great deal of theory about the thread of screws which we will not go into to here, but you can find an excellent detailed description here on Wikipedia. As we mentioned above finer threads tend to be used with machine threaded screws, but the courser they get the less likely they are to become cross threaded or the easier they will catch when being screwed in. The finer the thread, the finer the adjustment that is possible when tightening. Courser threads are normally used for wood and timber, particularly soft woods, but they can be used for steel with smaller thicknesses. The courser the thread the quicker it will be to install as they drive into the material more quickly. Finer threads will be used on denser materials such as hardwoods. The most common type of thread is a single thread, sometimes called a single start thread. These screws have a single helix of thread running up the screw. They are cheaper to produce and very effective. 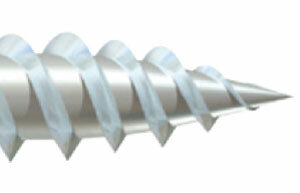 A Twin Screw is one that has two spirals of threads running up the screw. They are often called Double Start Screws as the thread starts in two places. This affords more purchase on the material being fixed to so that the screw can be driven in more quickly. 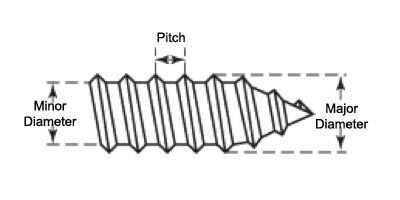 As a result the pitch (the angle of the thread) is often larger to allow the screw to be driven in (or removed) more quickly. Due to the extra thread they will hold the material even more securely, although they are more expensive. They are typically used with softer materials such as softwood. Hi-Lo (or High-Low) threads are twin screw threads, but where one of the threads is lower than the other. 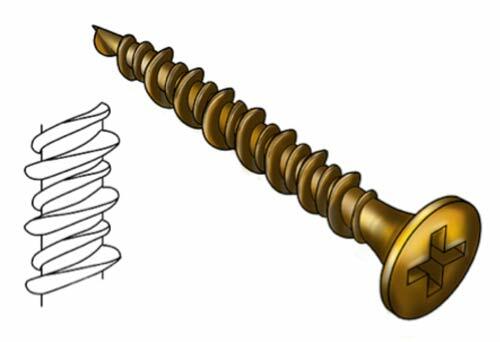 The idea is to provide a screw with the bite and drive speed of a twin thread but which is less likely to split the material that is being screwed. A Hi-Lo thread is recommended when screwing plastics and other material that can split easily. The extra thread makes the screw hold better than a conventional single thread screw. Some manufacturers provide screws with a serrated thread, which allows the thread to cut through the material being screwed more easily, requiring less force to make the fixing and potentially saving time. This kind of thread is used on Hammer Fixings or Frame Fixings. 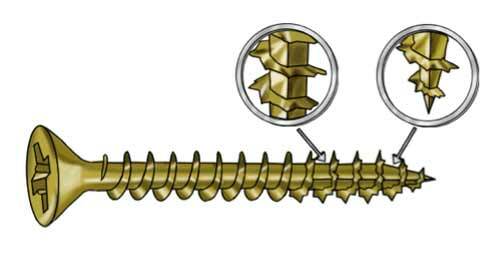 These are not true screws in the sense that they will be screwed into the material, but they are fixings that are hammered in and the thread turns the fixing into the material when struck by a hammer. For more information about this have a look our video on using Hammer Fixings. 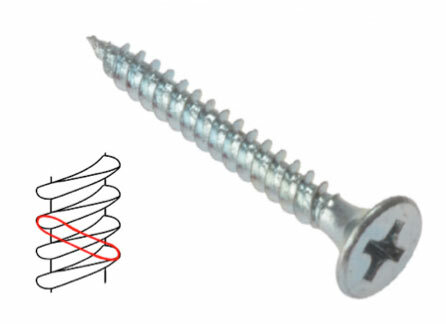 The point of the screw is the tip which first enters the material being screwed. 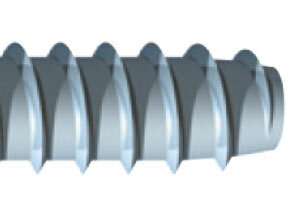 There is a huge range of screws tips available, all with different characteristics. To make it easier to understand we have grouped them in to 3 main categories below. These are screws that create their own thread in the material that is being drilled by pushing into it, rather than “drilling” in to it. The often require a pilot hole, but sometimes you don’t have to have one. They are called Tapping Screws in North America. As it pushes through the material if forms a very strong fix and it is possible to remove and re-insert the screw time and again successful with a secure fix. As it pushes through the material rather than cutting through it this puts more stress on the screw. 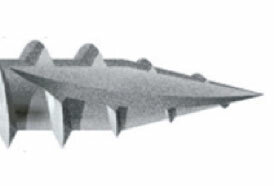 A thread cutting tip has a point that is designed to cut and remove some of the material while it is inserted, rather than simple being pushed in. This greatly reduces the strain of the screw and allows it to be inserted more easily, but the material is cut weakening the hold the screw with ultimately have. If the screw is removed and re-inserted it will not hold so well and it will cut the old thread away. Self drilling tips have what is effectively a drill bit on the point of the screw. This drills a pilot hole in the material while the screw is being fixed. Some even have “wings” that widen the hole so that the thread does not catch on it. These are specifically designed for joining wood to metal. 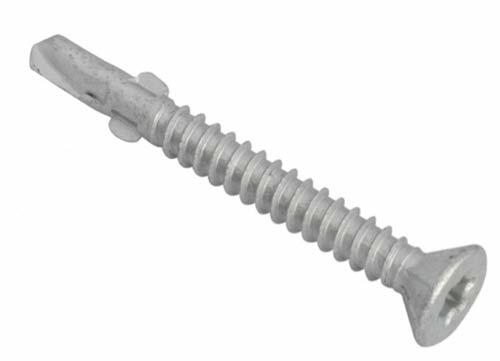 The point of the screw will largely be determined by the type of material that the screw is designed to be used on, therefore when purchasing screws, one does not need to worry too much about this. It is important to ensure that you select the right screw for the job, so try using the handy table to select the right type of screw in our project here. Screws that are used in a Home Improvement role will almost certainly be made of metal (steel typically), and therefore they need to be coated for their own protection and to allow them to be inserted more easily. The coating and material their made of will depend on the location where they are designed to be used, and weighed against the cost of producing them. 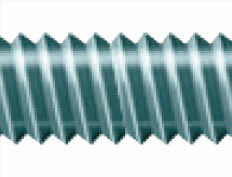 Plain Finish Screws: These are screws that have no coating or finish. If they are steel screws they will generally have been treated with an oil coating, but this is not an effective corrosion protection. It will increase their shelf life. Stainless Steel, Brass and non-metallic screws will not be coated as the material used should have sufficient corrosion protection. Typically screws which have not been coated will not be used externally. Zinc Plating: This is one of the cheapest and most effective corrosion protection coatings for screws. It is applied mechanically or using electroplating and results in a bluish tint to the screw. The abbreviation that is used to describe this coating is ZP (We have a range of Zinc Plated screws here). To provide even more protection a chemical passivation is applied to the zinc coating. This is a chemical chromate that results in a yellow colour and a harder surface. 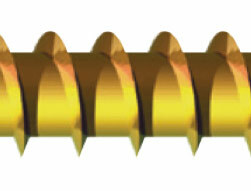 This screw finish is often abbreviated to “ZYP” or Zinc and Yellow Passivated. Here is a range of ZYP screws here. It is possible to electroplate screws with a range of metals depending on the finish you require. Tin, Bronze, Nickel, Copper and a range of oxidised “antique” finishes can be found if you are looking for something a little unusual. Choosing the right screw for the job can be a daunting prospect with all the choice that is out there. Different manufacturers refer to different features in different way, and are always inventing new and better feature, whether they are really needed or not! While we have gone into a lot of detail here about tehh different parts of a screw, most of these features will be included in the straight forward selection that you make on the type of screw, so you should not worry about these too much. Have a look at our project on selecting the right type of screw for more (simple to follow) information on this.